If you happen to be a regular user of the Nike+ Running app on your Android device, you be glad to know that Nike has released an update for the app which brings some decent new features on board. Among the most notable one is the Nike+ Coach, for those who take their running seriously. The new Nike+ Coach comes with several training programs, coaching tips and daily workouts to help your prepare for a competition or just improve yourself when it comes to running. Set your sights on the 5K, 10K, half-marathon or marathon distances. Choose from beginner, intermediate or advanced training levels. Forgot to track your run? Just tap the ‘+’ icon in Activity to add a run to your log. 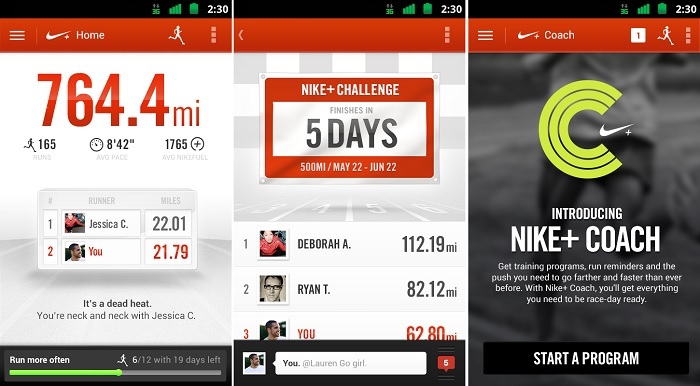 Head over to the Google Play Store and update Nike+ Running for your Android device.